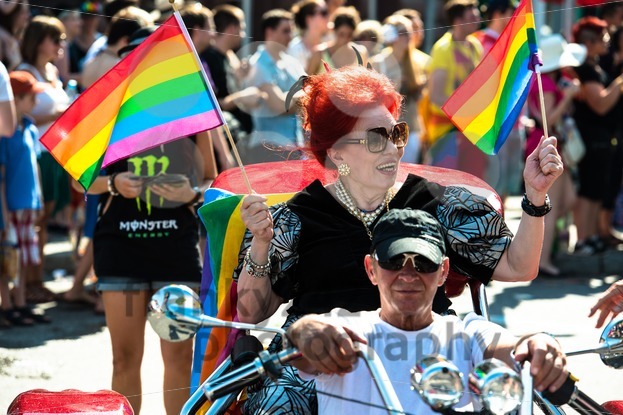 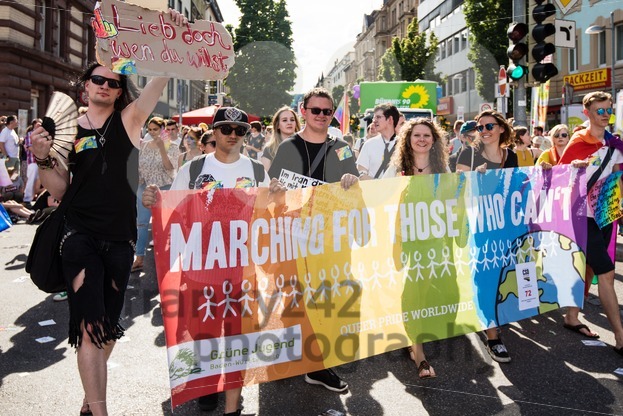 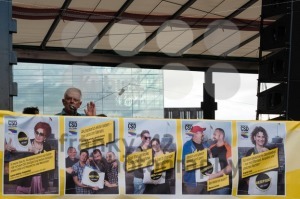 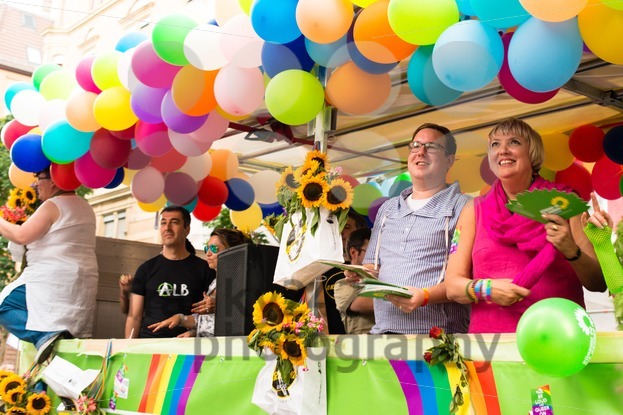 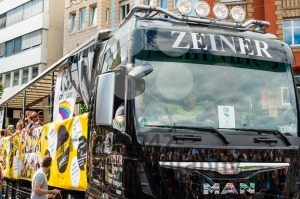 Stuttgart, Germany – July 25, 2015: Claudia Roth and Cem Oezdemir of the German Green Party are participating on the Christopher Street Day 2015 in Stuttgart. 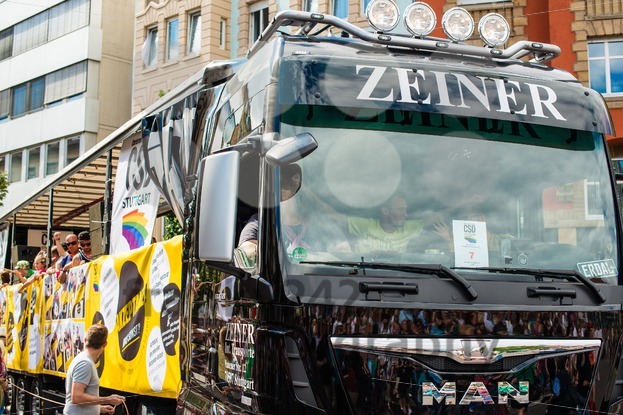 Claudia Roth currently serves as one of the vice presidents of the Bundestag, Cem Oezdemir is co-chairman of the German Green political party and also member of the Bundestag. The Christopher Street Day in Stuttgart is the largest gay and lesbian pride in southern Germany, attracting more than 200.000 people.